<link>The government of Pakistan has condemned today’s deadly attack in Kabul city that left at least 40 dead and 140 others wounded. “The people and government of Pakistan condemn the terrorist blast in Kabul and extend heartfelt condolences to the families of those who lost their lives in this reprehensible act. Terrorism is not the way forward,” a spokesman for the ministry of foreign affairs of Pakistan Dr. Mohammad Faisal said. The Taliban militants group in Afghanistan claimed the responsibility behind attack. 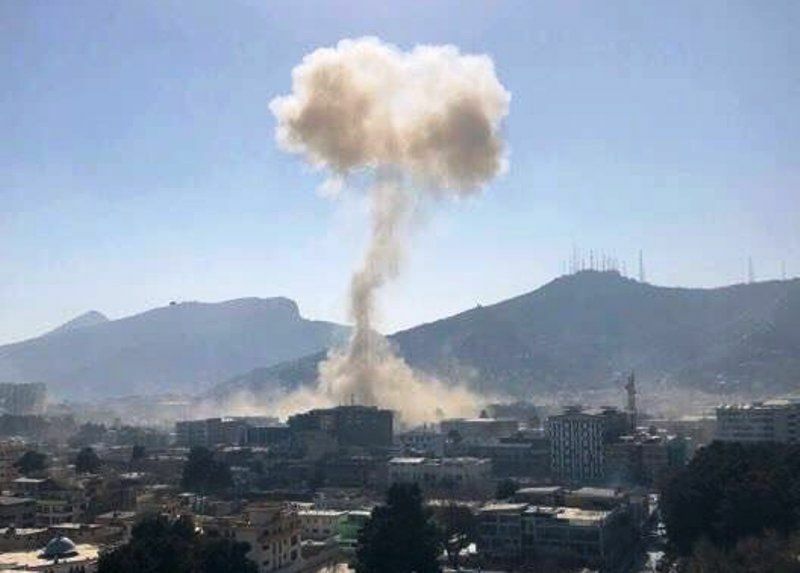 Taliban spokesman Zabiullah Mujahid claimed that the explosion was triggered by a suicide car bomb explosion targeting a group of police personnel near the old building of the ministry of interior. Mujahid also claimed that scores of people had gathered in the area where the incident and nearly 80 people have been killed or wounded. The ministry of public health says around 40 dead bodies and 140 people who have sustained injuries have been shifted to the hospitals so far with the Kabul Emergency Hospital saying around 50 were shifted to this hospital only. Today’s attack was the second deadly incident that took place in the city over a period of almost one week. A group of insurgents launched a coordinated attack on Intercontinental Hotel in Kabul city on the night of 20th January sparking a clash that lasted for almost 15 hours, leaving several people dead including many foreigners.